Last year St Mark & St Cuthbert’s celebrated 50 years of mission and ministry in Cleadon Park. It’s our privilege to love and serve this community. 2018 saw over 650 lunches served alongside activities throughout the summer holidays and help available with school uniforms, winter coats and regular food packages, alongside all our weddings, baptisms and funerals. Unfortunately our 50 year old building has some ‘original features’ that have now died totally on us. We have money for the asbestos to be safely removed from the church and the community hall but we still need a new boiler. In order to continue being able to offer a warm welcome to all in our community, we aim to raise £5000 by Easter. Could you help us with a gift, however small, to keep our community work going? Every little counts towards the target. if you could pledge £50 to £100 we’d be delighted. 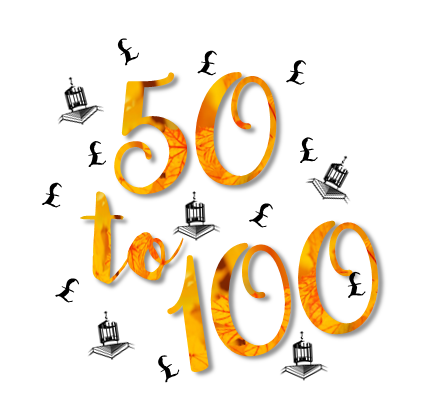 if you could collect us some 50p pieces, we’d be equally delighted. if you can count 100 pennies and bring us those, just as good! You can donate at any service, event in the hall – a coffee morning, Bertie’s, Rainbows, Brownies, Guides or wherever you see the collecting box. You can donate direct into our Virgin bank account: St Mark & St Cuthbert S/C 30-00-79 A/C 96234512 or via the Vicar through Paypal. Our spring coffee mornings are Saturday February 9th and Saturday March 9th – all are welcome! Cheques can be made payable to ‘St Mark & St Cuthbert’s Church’. Please help if you can, we are excited for the community future of this building, but we can’t do it alone.